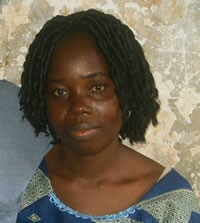 The Grebo, or Glebo, people are part of the larger Kru group of West Africa, specifically coming from Liberia and Côte d'Ivoire. Their name means "leaping monkey people," a reference to their flight from a former homeland near the Sahara. Civil war in their country of origin has forced them to disperse to other areas. Although there are several different Grebo groups, they are often classified as one. Historically, they are well known for their carved wooden masks, which were worn in ceremonies, often mediating or propitiating the spirits. The use of white clay denotes a ku or spirit, and dancers wearing these masks were daubed with it. Kings or chiefs often wore a heavy brass ankle ring, and worn to the death. These anklets were considered animate, and regularly fed human blood. They also often consulted shamans. Many still practice their ethnic religion even though the practices are less visible to the general public. Pray that Christians will carefully examine the various African people groups discovering the Grebo people. Pray for God to send evangelicals to become friends with Grebo people in order to share their faith both in word and deed..